From AIS Bulletin #222 July 1976 Introducing SHEIK JAMIL (Tearington). Pure Aril, 20". I. stolonifera X Persian Pansy. 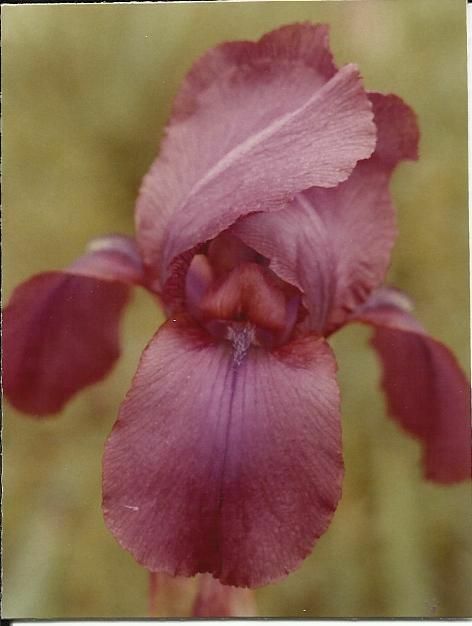 Excellent regelia form, done in shades of brownish maroon, veined darker. Narrow beards give strange bluish effect. An easy grower. Sdlg. P-604. $12.50/each. Sierra Vista Iris Garden.